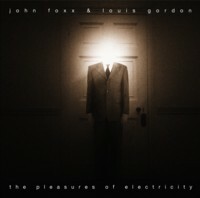 Originally released in 2001, “The Pleasures Of Electricity” was Foxx’s second album with collaborator Louis Gordon. To quote the album’s original press release: “Taking a cue from Kraftwerk, one of Foxx’s most obvious stylistic touchstones, “Pleasures…” is a streamlined monorail of lock-step computer-generated beats and wiry synthesizer melodies with an equal emphasis on dark, atmospherics and energised, danceable rhythms.” Disc One of this special expanded re-issue features a version of the album, newly remixed in 2009 by John Foxx. Disc Two features the original mix of the album plus two previously unreleased bonus tracks.